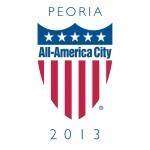 Registration is now open for Peoria’s 2013 Regional Neighborhood Network Conference (RNNC) playing in Peoria September 19-21 at the Four Points Sheraton Hotel. To register, visit www.rnncpeoria2013.com. Register by August 18, 2013 to get the early registration rate of $100 and for a chance to win a 32” Flat Screen TV! Furthermore, we are pleased to announce that tickets are now on sale for keynote speakers Dave Meslin and Earl Johnson. If you’re unable to attend the conference, but would still like to be a part of the dynamic learning and sharing experience about positive change in our cities’ neighborhoods you can purchase a ticket to hear these inspiring speakers. Dave Meslin, a “Community Choreographer” with 15 years experience producing grassroots, non-partisan community campaigns designed to influence both the public as well as decision-makers, will provide tips on effective communication, organizing and advocacy in his speech entitled Redefining Apathy and Building a Culture of Engagement. Meslin will speak at 8:00 a.m. on Friday September 20th at the Four Points Sheraton Hotel. Tickets are $50 each or $400 for a table of 10. Earl Johnson, a U.S. Army Veteran and President of Come Home Baltimore, will share his experiences of mobilizing veterans to transform a blighted Baltimore neighborhood through housing rehabilitation and grassroots community development in his speech entitled We Are Home So Let’s Rebuild America! Johnson will speak at 12:15 p.m. on Friday, September 20th at the Four Points Sheraton Hotel. Tickets are $50 each or $400 for a table of 10. Tickets can be purchased in the Mayor’s Office or by contacting Chayne Chamberlain at (309) 494-8519 or cchamberlain@peoriagov.org. Keynote speaker tickets are $50 each or $80 for both speakers. More information about the keynote speakers can be found at www.rnncpeoria2013.com.